It’s comfortable and feels natural. 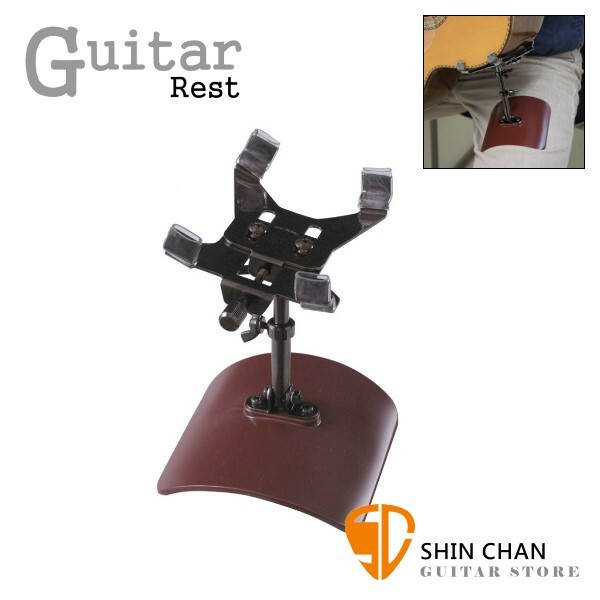 Your guitar moves with you, just as it does when using a foot stool — but without the lower back pain that a foot stool can cause. It gently clamps to your guitar with four adjustable rubber feet, providing great stability. 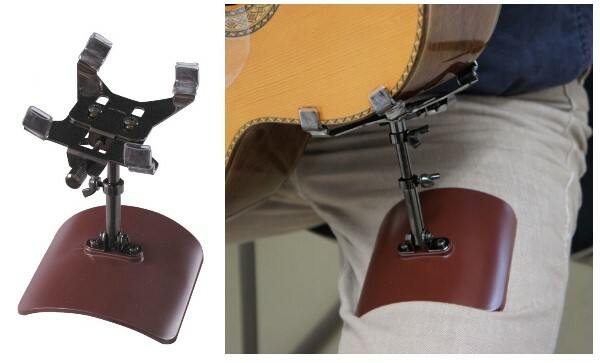 There aren’t any suction cups, so you don’t have to worry about them detaching or marring your guitar’s finish.